It must be harder for residents of the Northern hemisphere to get their heads around the idea of global warming causing extreme cold weather, but – climate scientists tell us that this is the case. Easier for residents of the Southern Hemisphere , especially Australia and New Zealand to accept the idea of global warming. Rapid Arctic Warming Linked To Mid-Latitude Weather Extremes. How global warming can lead to extreme cold weather, too. Extreme cold to hit 55 million people in the US as polar vortex brings life-threatening temperatures. This Is Why Global Warming Is Responsible For Freezing Temperatures Across The U.S.
A rosy time coming for investors, (such as Donald Trump) in nuclear weapons! USA’s nuclear weapons modernisation plan to cost $494 billion over the next decade. America may be overspending on unnecessary nuclear weapons – the nuclear triad now obsolete? USA hoping to profit from nuclear power, by exporting waste clean-up technology. Activists vow to stop Holtec’s nuclear waste plan for New Mexico. Holtec defends plans for nuclear waste storage facility in New Mexico. Nuclear Regulatory Commission votes 3-2 to weaken nuclear power safety rules. US Senator Markey Blasts Dangerous New Trump NRC Post-Fukushima Nuclear Safety Rule . Scrutiny on Energy Secretary Rick Perry’s decision to award funding to an advanced nuclear enrichment facility. It makes sense to exclude Nuclear, Fossils With Carbon Capture,and Biofuels from the Green New Deal. Bill Gates urging U.S. Congress to spend $billions of tax-payer money for developing new nuclear reactors. Tiny mobile nuclear reactors for U.S. military – a plan fraught with dangers. Nuclear Regulatory Commission agrees to delay relicensing New Hampshire’s Seabrook nuclear power plant. JAPAN. Greenpeace slams Japan’s plan to dump radioactive Fukushima water into the ocean. TEPCO failed to spot leak of contaminated water. Japan’s plans to sell nuclear plants overseas derailed. EUROPE. NATO chief says ‘no real progress’ on nuclear treaty. FRANCE. France’s government snidely changes law to avoid paying compensation to Polynesian victims of atomic bomb testing. French nuclear company EDF considering retreating from operations in UK. Genetic effects of radiation, and other pollutants, in children of Gulf War veterans. Aldermaston – Britain’s bomb factory – it’s a slow motion train crash. UK’s new nuclear projects are a financial dead end. A financial necessity – UK’s nuclear industry to fall into China’s hands. Nationalise the UK nuclear industry– the only way to save it – says Hitachi chairman. Tax-payer funding for yet another nuclear folly? Rolls Royce’s Small Modular Reactors. In Britain’s new energy era of wind and solar, nuclear power just does not add up. As a nuclear power project collapses, leading utility chief calls on UK government to increase targets for offshore wind energy. NORTH KOREA. North Korea’s Nukes and the ‘Forgotten War’. SOUTH KOREA. South Korea looks for nuclear dismantling pledge by Kim at second summit with Trump. GERMANY. Germany phasing out coal, but will not import nuclear power as replacement. SAUDI ARABIA. Saudi Arabia could be planning for nuclear weapons. 5 countries scramble to sell nuclear reactors to Saudi Arabia. CZECH REPUBLIC. Shares slump for Europe’s biggest publicly traded power company, due to Czech Republic’s PM’s nuclear power dream. HUNGARY. Hungary’s problems in financing new nuclear power plant. Rapidly climbing costs to USA tax-payers for nuclear waste cleanup – rose by $100 billion in one year! Cost to taxpayers to clean up nuclear waste jumps $100 billion in a year https://www.nbcnews.com/news/all/cost-taxpayers-clean-nuclear-waste-jumps-100-billion-year-n963586 , 30 Jan 19, An Energy Department report shows the projected cost for long-term nuclear waste cleanup overseen by DOE jumped $100 billion in just one year. Jan. 29, 2019, By Laura Strickler, WASHINGTON — The estimated cost of cleaning up America’s nuclear waste has jumped more than $100 billion in just one year, according to a DOE report — and a watchdog warns the cost may climb still higher. BY OWEN DAUGHERTY – 01/29/19 Rep. Ted Lieu (D-Calif.) and Sen. Ed Markey (D-Mass.) on Tuesday announced that they will reintroduce a bill that would stop the president from being able to launch a first strike nuclear attack without first having congressional approval. 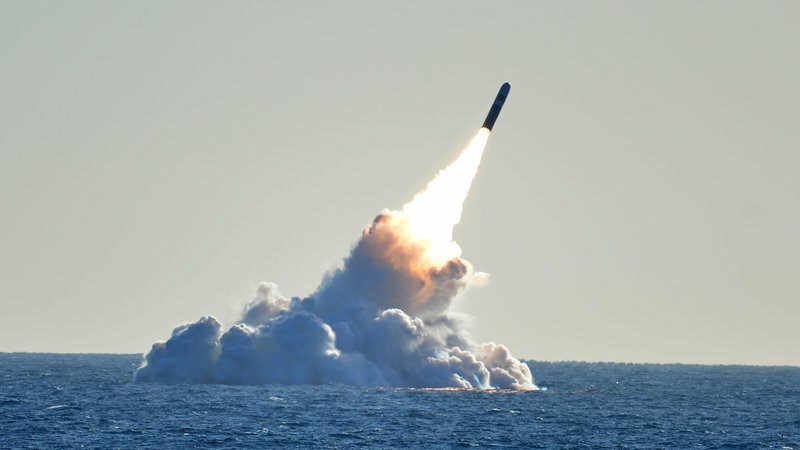 Trump Administration Begins Production Of A New Nuclear Weapon, NPR, January 28, 2019 “….The weapon is a variant of the Navy’s primary submarine-launched nuclear weapon, the W76-1. That warhead is a “strategic weapon,” meaning it makes a very big boom. The W76-1 is believed to have a yield of around 100 kilotons, according to Hans Kristensen, director of the nuclear information project at the Federation of American Scientists, an arms control advocacy group. By contrast, the bomb dropped on Hiroshima had a yield of about 15 kilotons. The Energy Department would not provide details about the W76-2, but it’s believed to have a yield of around 5 to 7 kilotons, Kristensen says. That smaller yield is probably created by removing or disabling the secondary stage of the W76-1. The secondary is designed to deliver a large thermonuclear blast triggered by a much smaller nuclear weapon known as the primary. Removing or disabling the secondary while leaving the primary would, in effect, create a smaller weapon………..
Wylfa Newydd: Chancellor Philip Hammond ‘hopeful’ of nuclear plant deal BBC 30 Jan 19 Work on a multi-billion pound UK nuclear project could still “go ahead” if a new financing model is found, Chancellor Philip Hammond has said.Japanese firm Hitachi cited rising costs for halting work on the £13bn plant at Wylfa Newydd, Anglesey. It had been in talks with the UK government since June about funding for the project, which was being built by its Horizon subsidiary. Mr Hammond said an alternative model was being worked on. “Obviously we are disappointed by the decision of Hitachi to suspend work on the Wylfa project, but we haven’t given up hope,” he told the House of Commons.